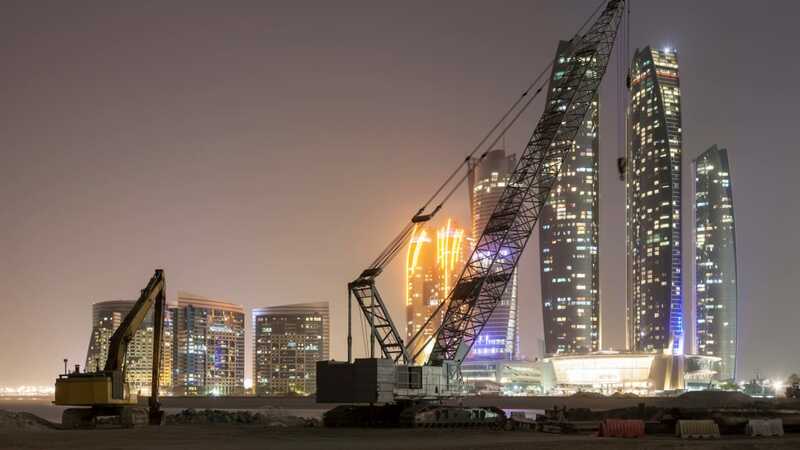 Like other leading municipalities worldwide, the Abu Dhabi City Municipality has provided the best construction systems at world-class standards. The technological advancements in recent years and the use of photography in drones has become part of the new media means available to all. We are using the photographic and video imaging through mobile phones and we are moving fast from the Word culture to the Image culture. Engineer Mohammed Omar Basaleeb, Director of Building Permits, Abu Dhabi City Municipality, said, "With the launch of the trial phase of using drones, the Municipality has become one the leading entities in the UAE that uses these technical resources in monitoring and inspecting project works and progresses. The aim of this step is to ensure that works undertaken are compatible with the applicable standards as well as the licensing conditions set by the Municipality. "The use of this innovative technology in the remote monitoring and inspecting construction sites enables engineers and staffs to continuously monitor all developments at construction sites. They can have live and integrated panoramic images for all construction phases. The system enables the generation of accurate engineering reports in cooperation between the engineers of the Building Permits Division concerned with the monitoring and inspection of construction sites to ensure that they are compliant with all the stipulations of construction. "This modern technology for using drones contributes to shortening the time taken by engineers and saves the hassles of moving from offices to construction sites. They can coordinate with the site contractor the operation of the drone whenever needed and enable the examination, viewing and inspection of all details of project components. It also gives full description of the current situation and document each project phase in live video clips. This will definitely reflect positively on the construction level and project quality. The technology also contributes to achieving sustainability standards through saving fuel consumption by reducing the movement of vehicles of engineers, engineering inspectors, and accordingly reducing carbon emission and protecting the environment. "Following the completion of the trial run, the Municipality is keen to widen the scope and use of this technology to all projects within the domain of the Municipality. It will coordinate with the concerned entities the operation of the drone technology in holding training courses for qualifying engineers and training them on the use of these drones and using them in the inspection and engineering monitoring in the first step. The scope of using drones will be broadened to improve other services. The Municipality will captialise on the trial run in checking all details of using drones such as the registration of the drone, security permits, specification of the drone, and areas restricted to flying zones. Details also included the scope of operation within the geographical environs of the Municipality, ability of the drone to withstand the harsh climate conditions, the range (distance and altitude) of the drone, quality assurance standards and the link with the operation room. All these inputs will be examined and the feasibility will be assessed in preparation for the launch of the final and practical run of the technology. Over the years the United Arab Emirates has witnessed almost unsurpassed development and prosperity, recording comprehensive growth across all sectors, thanks to the wise and far-sighted visionary leadership of its rulers. They have set forward a goal of sustainable growth, by decreeing that infrastructure of the highest standard is to be put in place to anticipate and drive future developments.